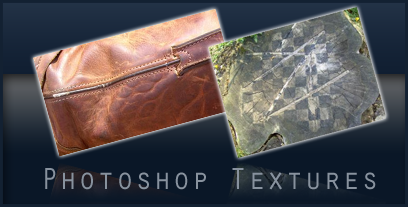 On the 9th of May 2008, Smashing Magazine announced a Smashing Textures Contest. 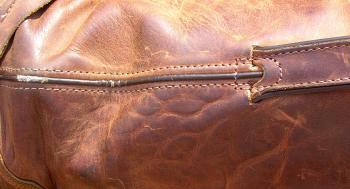 The goal was set to let all readers take beautiful pictures that can be used as textures. It was one amazing contest. They received in an enormous amount of e-mail from over 600 participants. The results speak for themselves: The Smashing Texture Gallery is one great Photoshop Resource. My girlfriend (Amber from DressYourAss) and I were two of the 600 participants. The sun was shining and we took the afternoon to take some photo's with my camera to enter the texture contest. Two out of the ten that we send were selected by SmashingMagazine. All photographs are taken with a simple camera on a bright day. None of them are edited in any way, exept some have non-texture parts removed. The pictures are taken in a very high resolution, perfect for Photoshop artwork. This was the picture taken by my girlfriend. She was wearing leather boots the day we were taking pictures and this is just a close-up picture from one of them. It really has some nice relief, so great to use as a texture. The wooden chess texture is a picture taken by me. 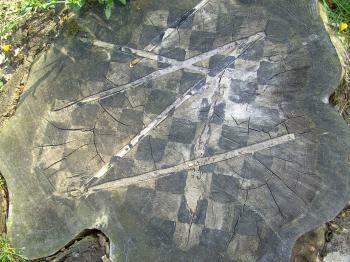 A sawed-off tree was the perfect place to add a chessboard that you can find in our neighborhood. It's pretty sad that it's vandalized and the chessboard can't be seen properly any more, but still it's pretty unique and can be really useful. That's it for now. I'm planning on sharing the other pictures that were made that can be used as texture later, so stay tuned. I hope you like these and can use them in your Photoshop work. Last but not least, I want to thank Smashing Magazine for holding this great contest. Other users did submit some awesome textures that are perfect for design. They did a great job. Did you participate too?